Liverpool will not make a move for defender Virgil van Dijk unless Southampton lower the asking price for their Dutch defender. Independent.ie have been informed that Liverpool are willing to consider alternative defensive targets in the January transfer window, with Southampton in no rush to sell Van Dijk unless a club gets close to their lavish £70m valuation of their star centre-back. Manchester City and Chelsea are expected to make a move for Van Dijk, with Liverpool insiders still hopeful of getting in the mix to sign the defender if a compromise deal can be agreed. Van Dijk was left out of the Southampton side for Saturday's game against Chelsea at Stamford Bridge, fuelling speculation that the club are preparing to sell the player who handed in a transfer request in a bid to force through a bid to Liverpool last summer. It now appears that City and Chelsea are leading the chase for Van Dijk, with Liverpool keen to distance themselves from a fresh move for Van Dijk after their unsolicited approaches for the player last summer forced the Anfield club to issue an apology to Southampton in a bid to avoid FA sanctions. 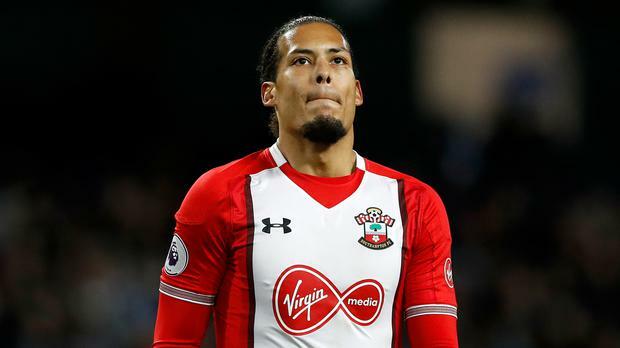 Southampton made it clear that they would not sell Van Dijk last summer and held firm on that stance, but Independent.ie reported in August that they would consider a sale for the player if he continued to insist he wanted to leave and that is the position they are now faced with. "I can't control the market," said Pellegrino after his side's 1-0 defeat at Chelsea on Saturday. "I'm not the owner of the player. I can have my opinion and this I have given to the technical director, to the chairman. After, the board can decide all together which is the best for the team. "I will repeat that I can't control the market right now. I can't control this. "I will recommend to try to keep our best player here in the club. The club was clear in the beginning and I have the same opinion." Southampton believe Van Dijk's valuation is reasonable as he is eligible to play in the knock-out stages of the Champions League, with the three and a half years he still has left on his contract putting the club in a strong bargaining position. It may be that Liverpool's claims that they will not enter the bidding for Van Dijk could be a bargaining position from the Anfield club, but it appears they now have strong competition for the signature of the in-demand centre-back.